Ireland is very well-known for its whiskey, so whiskey-lovers should make sure to experience some on their visit to Dublin. At the Davenport, we made a selection of places to go that will give you the ultimate Whiskey-experience. Visiting the Irish Whiskey museum will be a very interactive experience. The museum is very centrally located just across the main entrance of Trinity College. The tour will tell you everything about Irish whiskey through the ages, without being focused on one brand. At the end of the tour you get the chance to taste three different Irish whiskeys. The Porterhouse is a very popular beer brewery/bar, but their latest addition is a Whiskey Bar. The name is taken from the Dingle whiskey distillery in Co. Kerry, which is also owned by the Porterhouse group. There is a choice between over 150 whiskies from around the world and also whiskey tastings classes are being given every Tuesday from 7pm. Jameson Distillery is the perfect place for whiskey lovers to spend the afternoon. The distillery was opened as a shop in 1780 by John Jameson. Nowadays guided tours and many other activities can be enjoyed, such as learning how to blend your own take-home whiskey. The Palace Bar is one of Dublin’s mostly loved original Victorian pubs. The pub is a favourite under Dubliners, because it’s such a quiet and cosy place to have a drink. Another plus is that the style is has remained the same over 200 years which gives the pub the right atmosphere. The Palace bar truly is the right spot for whiskey-lovers; they even have their very own “Palace Bar whiskey”. If you want to bring a bottle of Irish whiskey home, the Celtic Whiskey Shop is the place to go to. The shop offers a wide range of rare bottles, all of which the shop its well-educated staff will tell you everything about. What is also nice to know, is that they serve up in-store whiskey tastings all day, every day. The Davenport is located in the beautiful Georgian Dublin and definitely worth a visit on your trip to Dublin. The hotel bar offers the perfect atmosphere to enjoy a good whiskey and relax. Before you enter the hotel, make sure to have a look at the outstanding façade. If you’re still looking for a place to stay, The Davenport is very centrally located and the staff will be more than happy to help you find the best whiskey places. 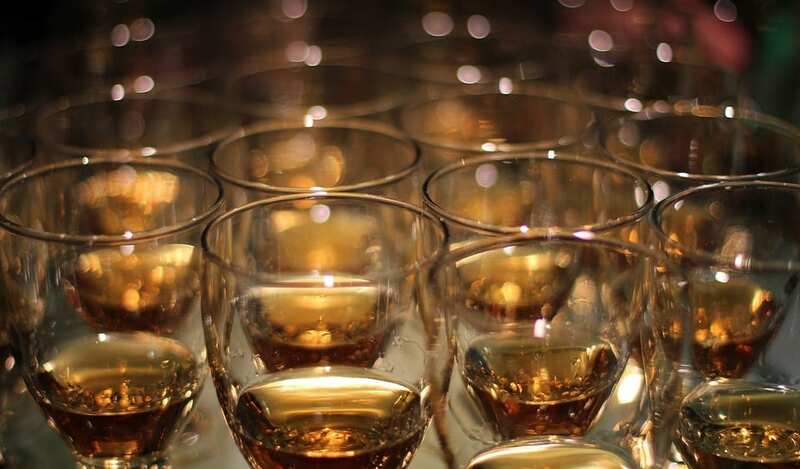 After reading this blog, you’ll be sure to not miss out on Ireland’s great whiskey culture. Planning a visit to the city? Make sure to read this blog to find out which places you should definitely pay a visit to.